The Environment Ministry was hit by controversies in the year gone by which saw clearances for two big ticket projects -- POSCO and Lavasa -- and exit of Jairam Ramesh as the green minister. Another highlight was India's participation at the Durban climate talks under the leadership of Jayanthi Natarajan who took over as Environment Minister in the midst of the year from Ramesh. The death of Swami Nigamananda, who was agitating for saving the Ganga River and checking illegal mining in Uttarakhand, raised several questions. The ministry got a shot in its arm as the latest tiger census showed significant increase of population of big cats from 1,411 in 2006 to 1,706. Amid conflict between industry and environment, Posco Steel Project, India's largest FDI project which was hanging fire for over five years, was given the green nod with certain conditions including the one that it should not export raw material from the proposed plant. The clearance was granted when Ramesh was the Minister. He granted approval to the Orissa government for diversion of forest land to the South Korean company which plans USD 12 billion project at Jagatsinghpur after being satisfied with the assurances from the state government. 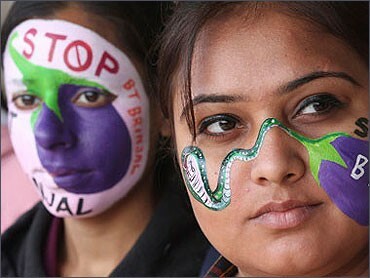 Environmentalists and anti-POSCO activists slammed the Government for granting green nod for the project and termed it as a "scandalous decision". 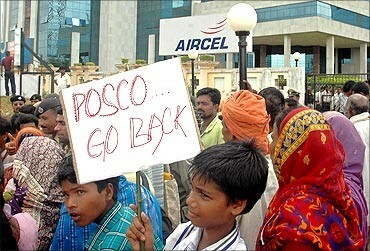 The Posco Pratirodh Sangram Samiti alleged that the ministry "disregarded" findings of its own review and statutory clearances committees. 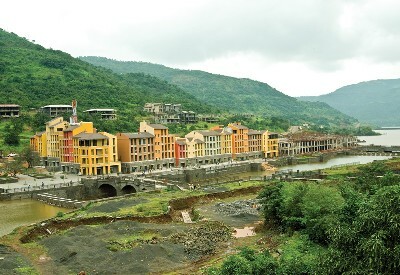 Lavasa's woes of green hurdle got over only after the Maharashtra government filed a case against the promoters of Hill City project for alleged violations of the Environment Protection Act (EPA). Filing of the case under the EPA was one of the key pre-conditions of the Environment Ministry for granting clearance to the first phase of the project. Natarajan granted clearance for its first phase subject to "strict compliance" of certain terms and conditions. 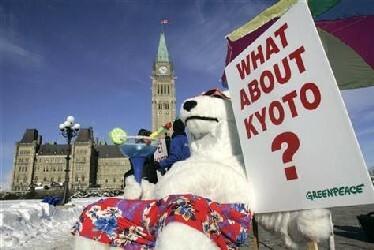 In Durban, the crucial Kyoto Protocol got a new lease of life as climate negotiators agreed to a second commitment period under it after India, refusing to be "intimidated" by the West, pushed hard for the principle of equity to be a part of the new roadmap to cut emissions. The climax of the 14 days of marathon climate talks, which went into overtime, was marked by angry exchanges between representatives of the European Union and negotiators from India and China. Natarajan asserted that New Delhi would not yield to any undue pressure. 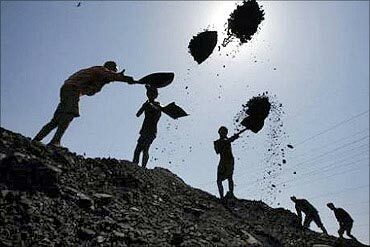 The year 2011 also witnessed the constitution of a new group of ministers (GoM) to settle the issues between the Environment Ministry and the Coal Ministry over the 'Go', 'No Go' classification of coal mines in forest areas. However, there is no clear picture about the policy discussed widely in a year declared internationally as the "year of the forest". The proposed mega nuclear power plant at Jaitapur in Maharashtra evoked mass protests following tsunami-triggered nuclear crisis in Japan. However, the government ruled out any re-think on the nuclear power plant but pressed for a separate safety system for each of its six atomic reactors in the light of the Fukushima nuclear crisis.